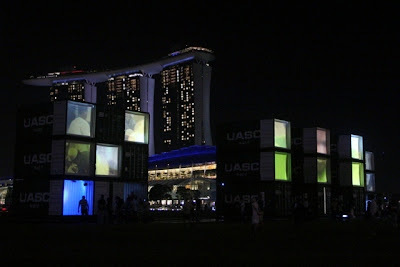 Running it's second year, i Light Marina Bay is Asia's first and only sustainable light art festival. The theme for this year is "Light Meets Asia", the sophomore features more than 30 innovative and environmentally sustainable light art installations, with a strong focus on works from Asia. 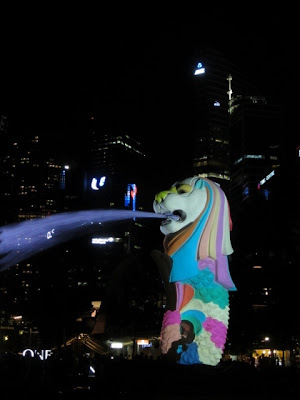 It's not just all about lights, visitors can also enjoy a full array of complementary programmes and activities – including a night carnivals, outdoor performances, guided tours, educational talks and workshops. 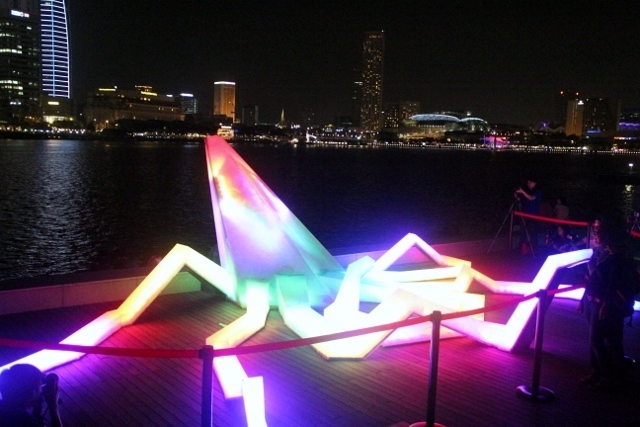 A key objective of i Light Marina Bay 2012 is to advocate environmentally-responsible behaviour for a sustainable future, and promote the Bay as a culturally vibrant and sustainable urban waterfront precinct. From encouraging artists to use recyclable materials as well as adopt energy-efficient lighting technology and renewable energy sources in the creation of their light art installations, to working with event and programme partners to manage resources and minimise waste, sustainability is promoted through all aspects of the festival. 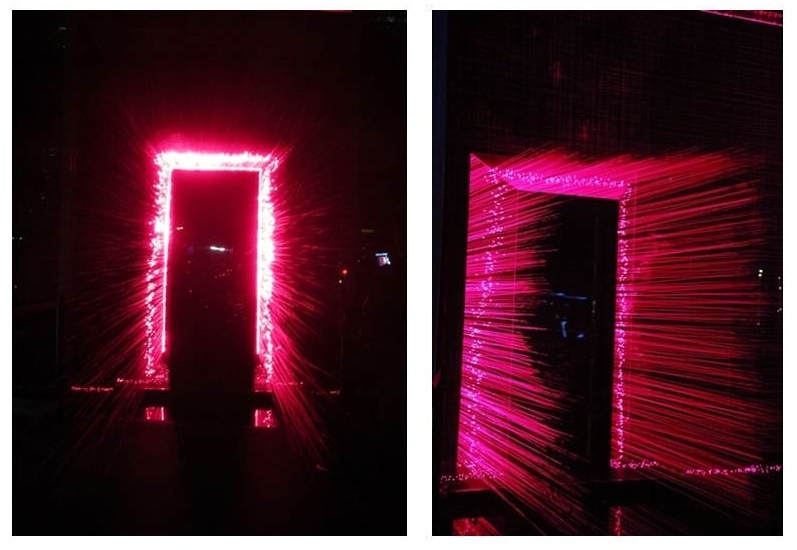 The next installation (below) was one of the most popular ones. 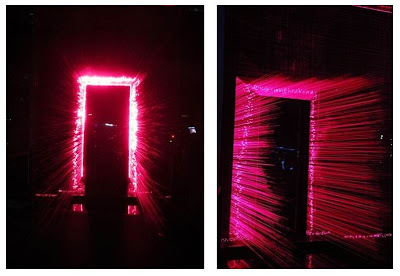 Entitled "The Gate", the small beams of low intensity laser light drew me closer to the doorway, curious as to know what was on the other side. 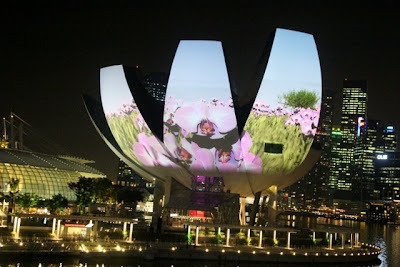 The art projection on the outside of the ArtScience Museum (below) is an ambitious projection, incorporating a variety of light and sound effects to tell a story about environmental sustainability and highlight the beauty of the natural world. The projectors make no impact on the surface of the Art Science Museum but create a spectacular effect visible from several vantage points throughout Marina Bay, one being from the Helix Bridge.